Jeff Houdret once enjoyed watching white-tailed deer roam Valley Forge National Historical Park. But Houdret, whose Wayne home borders Valley Forge, has not seen a deer in at least a year. “They’re all gone,” he said as he walked his two Yorkshire terriers through the park on Thursday afternoon. With birth control not yet a viable option for combatting deer overpopulation, officials from Valley Forge said they would continue to employ sharpshooters next winter as part of their deer management plan. It has set off a heated debate, a federal lawsuit, and enough documents to fill a couple of phone books. But for the third consecutive year, Valley Forge National Historical Park is proceeding with a deer-culling program designed to thin the herd and encourage new plant growth in the park. And officials at the famed Revolutionary War site say it is working. The deer population has long been a bane of Valley Forge, they say. 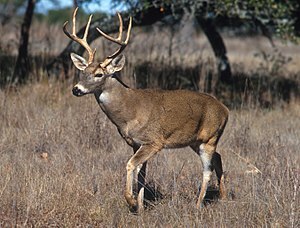 Before the culling began, the park counted 291 deer per square mile. A “sustainable” population would be closer to 35 per square mile, said Deirdre Gibson, the park’s chief of resources.